Nan Roche is a polymer artist uniquely qualified to bring us this technique…she developed it years ago when trying to recreate the look of wireworking and chainmaille. 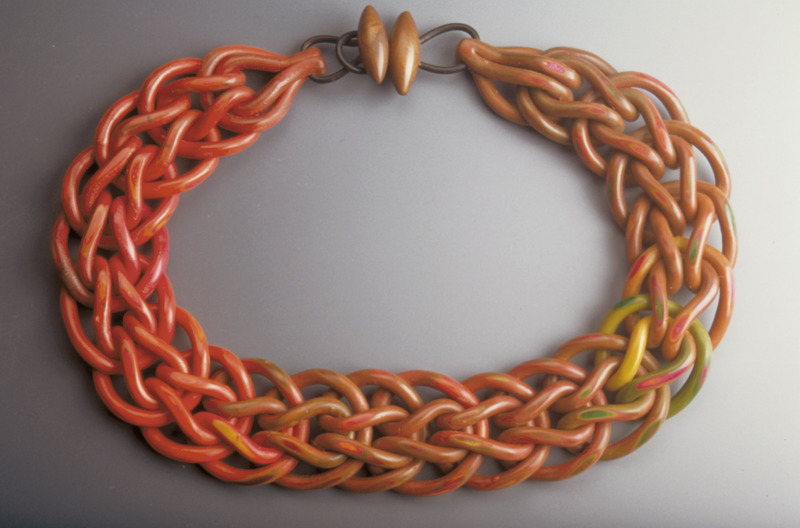 Nan has been working with polymer clay since the late ’80s. As she learned from some of the pioneers of polymer, she felt it might be helpful to gather the info in a book. As a result, she became the author of the very first book written on the subject, “The New Clay” and appropriately was the first to receive the Creative Pioneer and Innovator Award in 2010, given by the CFCF. She is bringing her wit and years of experience to the Cabin Fever Clay Fest for the sixth time. She is one of the best and brightest … eager to share her experience with all. Her work was showcased along with other polymer pioneers, at the opening of Terra Nova last year at the RAM in Racine, Wisconsin. We welcome her as always. NAN ROCHE – LOOP-IN-LOOP CHAINING (Pre-conference) Fri. 15 Feb. These structures are borrowed from the metalworking world using wire. We will be extruding our own “wire” from polymer clay. This class will teach you three forms of loop-in-loop chaining using our own clay “wire” that we will extrude using a clay gun adapted to fit into a caulking gun or a Makins clay extruder. Each technique is a little more sophisticated than the next. Start with a simple long chain lariat necklace, then a loop-in-loop single flat chained collar necklace and finally a double loop simple pendant. 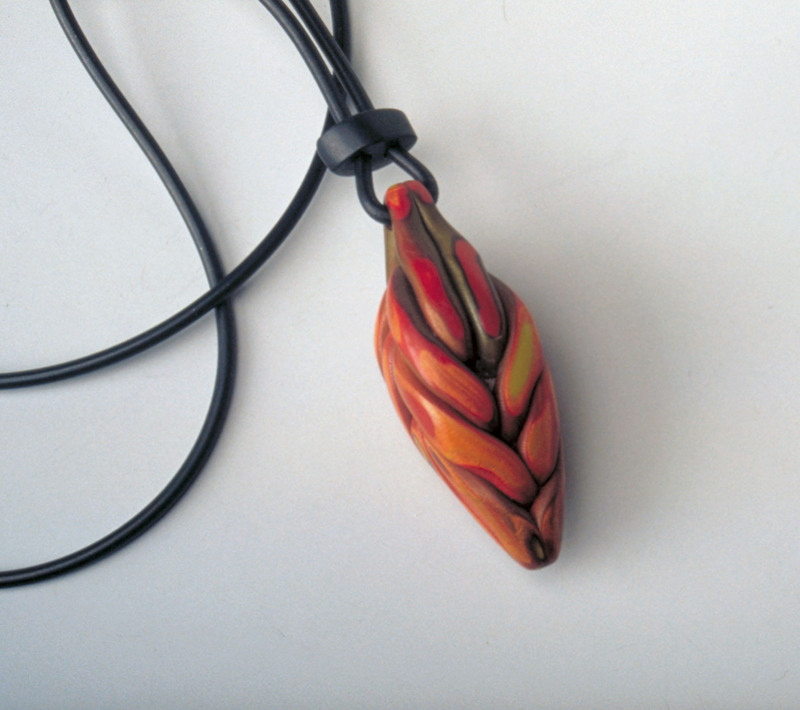 Polymer clay is exciting to use because we can adapt shapes, colors and sizes more easily than using these techniques with metal. We will learn to use methods of extrusion that will generate Mokume Gane layered colors, sanding and polishing finishing techniques with the final construction using rubber cording.